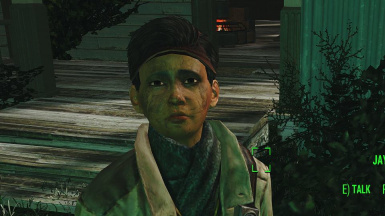 Changed AI package on children in Goodneighbor to be able to climb stairs higher (Goodneighbor Expanded compatibility) and also changed Bunker Hill AI just in case. Added optional version with esl flag turned off for those having problem with mod manager. Last week I published my mod Sim Settlements Children Support and I am now publishing the mod I use to get children for my settlements. This mod does not require Sim Settlements or my other mod. All three mods listed in the overview are required with this mod. It patches them so they all work together. I built this using the main version of Diverse Children that requires Far Harbor but it should work with the other versions. 25 male outfits and 25 female outfits with only a couple overlaps. 17 male and 17 female hats and other face wear. Resulting in hundreds of combinations that settler, Bunker Hill, and Goodneighbor children will randomly choose from. I needed to edit the records for the children in Diverse Children to get the outfit changes so I also made them randomly be different heights. Did not need to edit the ones from Orphans so left them at default height. Children like to run so settler, Bunker Hill, and Goodneighbor children jog when moving. For me this adds a fun difference from the adults. All children will now use 25 default game animation markers previously only usable by adults like drinking, noodle eating, painting wall, using wrench, and warming hands. This complements and is separate than the ones I did for Sim Settlements with my mod Sim Settlements Children Support. Settler generation is 1/3rd males from LCharWorkshopNPCMale, 1/3rd females from LCharWorkshopNPCFemale, 2/9th Guards from LCharWorkshopGuard, and 1/9th from children. This is compatible with all the mods I have looked at that add many more adult setter faces but this must be loaded after them. esl flag is turned on so should not take a mod slot.